Elevess is an injectable dermal filler that is used to minimize the appearance of facial lines, wrinkles, and scars. Elevess can rejuvenate the skin and give patients a more youthful look. Elevess can also be used for lip augmentation, to fill out the lips and make them appear firmer and fuller. Elevess contains hyaluronic acid, a biological substance that is naturally produced in human connective tissue. As we age, production of hyaluronic acid begins to slow down, causing the connective tissue to become weaker and thinner. As a result, our skin starts to thin and sag, and lines, creases, and wrinkles begin to appear. The hyaluronic acid absorbs and retains moisture, causing the epidermal cells to expand. 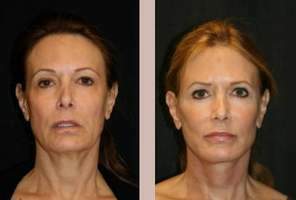 This in turn causes the connective tissue to become stronger and more stable, resulting in a more youthful appearance. Where on the body is Elevess used? Elevess is used to treat lines, wrinkles, and depressions in the face, and to add fullness to the lips. What are the advantages of Elevess over other similar treatments? Elevess is the only dermal filler that contains Lidocaine, a local anesthetic that causes the injected area to feel temporarily numb. Because of this, the pain and discomfort that often accompany dermal injection procedures are minimized. There is less bleeding during the procedure, and less bruising and swelling afterwards. Because hyaluronic acid occurs naturally in the human body, the likelihood of allergic reactions is smaller than with other fillers containing synthetic materials. Elevess contains the greatest concentration of hyaluronic acid and is less expensive than its competitors. The results also last longer than many other cosmetic fillers. Who is a candidate for Elevess? Elevess injectable dermal filler is suitable for anyone wishing to minimize the appearance of facial lines, wrinkles, and creases, without surgery. It is also perfect for those who want to see instant results without extensive recovery time. Patients with unusually low pain thresholds are good candidates for Elevess due to the incorporated Lidocaine. Elevess is not advised for patients with immune disorders or problems with blood clotting. The Elevess procedure takes approximately half an hour, and is done on an outpatient basis. A topical anesthetic might be applied prior to the injections, though this is usually not necessary, as the Lidocaine starts to work right away. A physician or authorized healthcare professional will inject the Elevesse into predetermined areas of the face. The amount of Elevess used can vary, depending on the severity of the lines and creases, and the size of the area being treated. An ice pack is usually applied to the injected areas afterwards, to minimize any swelling that may occur. Regular activities may be resumed immediately following the procedure. A small amount of swelling and redness may occur, but can be easily diminished with ice packs. What results can be expected from Elevess? Results from Elevess can be seen immediately following the procedure, and will last anywhere from three months up to a year. These results can be extended with occasional touch-ups. What are the risks of Elevess? Allergy or rejection of Elevess is highly unlikely due to the biological nature of the hyaluronic acid. As with any invasive procedure, a minimal risk of infection is present. Is Elevess approved for use in the U.S.? Elevesse is approved by the FDA and can be administered by any physician or authorized healthcare professional in the U.S.
Do insurance companies cover Elevess? As with most aesthetic procedures, Elevess is not normally covered by medical insurance.